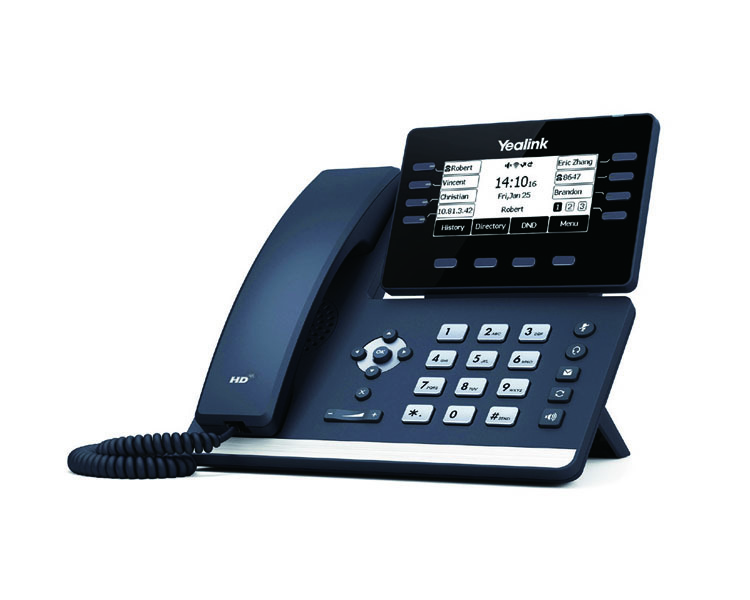 Yealink SIP-T53W IP Phone features an adjustable 3.7-inch graphical LCD that you can readily adjust it to the comfortable viewing angle according to yourself. As to the audio quality, the SIP-T53W is coupled with the latest version of Yealink Optimal HD Voice technologies, including Yealink Acoustic Shield technology, that effectively eliminate background distractions and noises, deliver crystal clear voice even in a noisy environment. Meanwhile, complying with the latest Hearing Aid Compatibility (HAC) Regulations, its HAC handset helps the person who is with hearing loss to hear the voice more clearly. The Yealink SIP-T53W supports efficient provisioning and effortless mass deployment with Yealink’s Redirection and Provisioning Service (RPS) and Boot mechanism to help you realize the Zero Touch Provisioning without any complex manual settings. VoIPon - your Yealink T53W Business IP Phone (SIP-T53W)[SIP-T53W] distributor, supplier, reseller! Get all your wifi at VoIPon! If you would like to be notified when the"Yealink T53W Business IP Phone (SIP-T53W)" is re-stocked, please enter your contact details and we will notify you instantly.